Whether you’re chopping onions at the kitchen island for one of your gourmet home-cooked meals, or toasting with guests over that bottle of red you’ve been saving – the kitchen is always a hub of activity when entertaining in your home. Kitchen lighting is more important than you may realize. Though bright and powerful – pot lights can be extremely high-heat making… and while cooking or entertaining, these bright headlights may not set the right mood (or temperature!). Elegant pendant lighting is the perfect solution, getting light where you want it, keeping the bulb-temp cool. Of course – it also gives you an opportunity to further the aesthetic of your kitchen space. Browse some excellent options below! 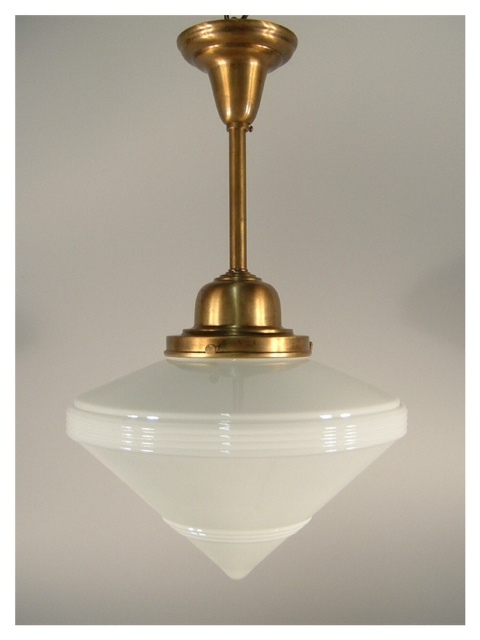 The “Art Deco” pendant fixture, is reproduced by our shop from the original mould (circa 1930) is available in a variety of finishes and the length can be made to your specifications. (Also available on a chain or as a flush mount). 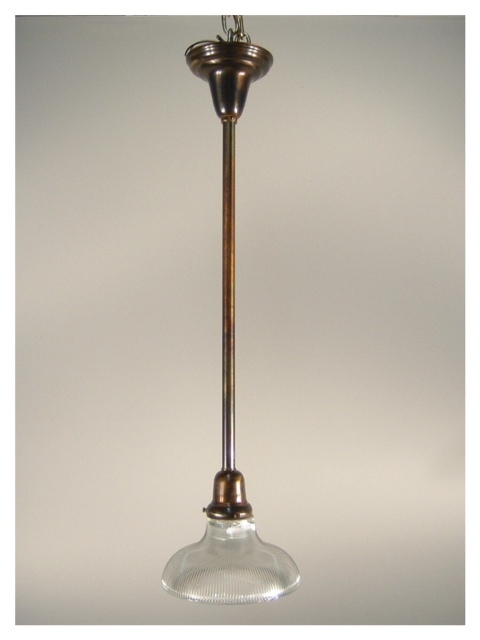 This clean heritage-style holophane shade pendant comes in a variety of finishes available, length made to individual specifications. (Also available on a chain or as a flush mount). 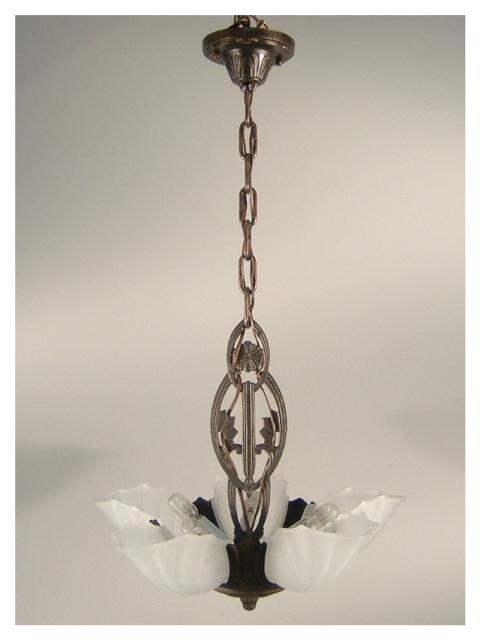 Our 5-Light Art Deco fixture is cast using an original mould, made with superb quality. Shades available in frosted white, amber, or rose. Length made to your specifications. (Also available as a 3-Light fixture).